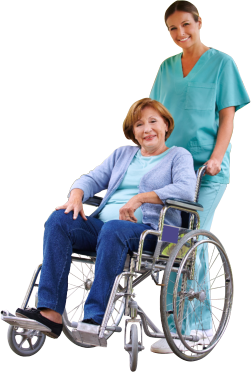 There are many areas of home health that Aloha Healthcare can provide services for. Your home becomes the best place to recover, to receive treatment and, most of all, to spend more quality time with family. With home health care, Aloha Healthcare can help patients leave the hospital sooner or even replace hospital admission. Our nurses can administer medication and provide medical treatment, such as IV therapy and wound treatment. They also oversee all care plans and coordinate all communication among your physician, family, and other caregivers. Physical Therapy helps patients return to their normal activities by increasing physical strength and endurance while improving stability. Occupational Therapy helps in the improvement of daily living activity skills like eating, dressing, toileting, bathing, and preparing meals. This allows patients to remain as independent as possible at home. Speech or Language Pathology helps improve speech and communication skills. It is suitable for patients who experience difficulty with memory, decision-making, swallowing, and eating. Our medical social worker or licensed clinician can help in the transition from the hospital, nursing facility, or out-patient center to the patient’s home. Our professional staff can coordinate the details of patient treatment with physicians and caregivers, make referrals to community resources, and assess needs for medical equipment and supplies. During patient recovery time, sometimes an extra hand is needed and that little extra help makes all the difference. Our home health aides are specially trained and certified in providing personal care which includes, but is not limited to, bathing and dressing assistance, meal preparation, and changing of linens.